HD World Congress 2011: a retrospective - HDBuzz - Huntington’s disease research news. A growing, more unified worldwide HD community and a sense that we’re ready for a new era of Huntington’s disease clinical trials were two prominent messages at the recent World Congress on Huntington’s disease in Melbourne. Now the dust has settled, HDBuzz reflects on the meeting’s major themes. 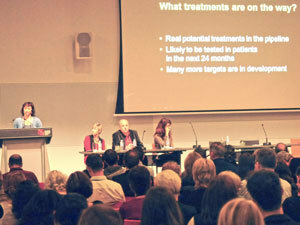 Through our Oz Buzz feature, we brought you the 2011 World Congress on Huntington’s disease as it happened. Now it’s time to look back and take stock of the themes and announcements that stood out. Delegates received an authentic Melbourne welcome. 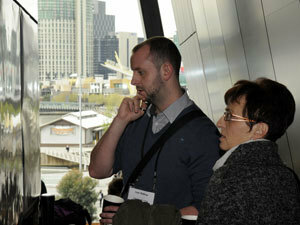 The Congress was held in Melbourne, Australia, from 11th to 14th September. The World Congress is the biggest regular meeting of scientists, health professionals, HD family members, friends and carers. The 2011 Congress broke several barriers. It was the first to be held outside Europe and America for twenty years. Delegates attended from an unprecedented number of countries. And it was the most open Congress ever, with its discussions and science made available across the globe via Twitter and online video through Oz Buzz. Accurate disease measurements, referred to as biomarkers, are crucial for testing new treatments in clinical trials. 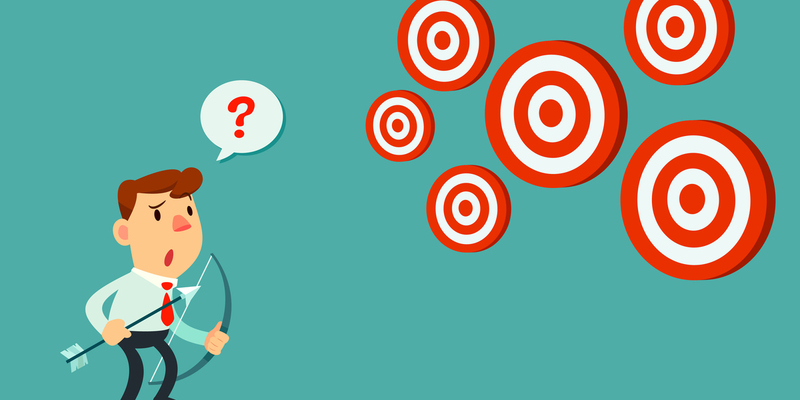 There was a new note of optimism to the biomarker discussion, with several top researchers reporting that global studies have now given us the measures we need for clinical trials in early HD. Starting the conference with a run-down of six treatment approaches likely to enter trials in the next two years, and many more targets being worked on in the lab. Sarah Tabrizi announced the ‘TRACK-HD battery’, a selection of measures for trials in early HD, as well as ‘TrackOn-HD’, a new study of brain changes before symptoms begin in HD. Tabrizi’s message - “Yes we can!” - was echoed throughout the Congress. Elizabeth Aylward and Rachael Scahill both reported success in developing measurements from MRI brain scans that can predict and track symptoms - thanks to the TRACK-HD and PREDICT-HD studies. The next hurdle will be testing new treatments in people with the HD mutation but no symptoms. EHDN’s Joaquim Ferreira highlighted the challenges but was optimistic that they’ll be overcome when the drugs are ready to be tested. Stepping up to address these challenges, Nellie Georgiou-Karistianis reported that functional MRI scanning can identify brain activity changes in over time - which might be more sensitive than waiting for brain shrinkage to occur. Robert Pacifici of CHDI, the largest funder and driver of HD research, spoke of a new era in clinical trials for HD, with “an impressive number of things moving towards the clinic specifically designed with HD in mind”. Later, answering questions from HD community members, Pacifici described CHDI’s pipeline of drug discovery work, from ‘blue sky’ research to moving drugs into clinical trials: “On any day we’ve got about twelve shots on goal that we’re shepherding towards the clinic”. A trial of a new possible treatment was launched at the Congress. PBT2, developed by Prana Biotech, aims to disrupt the interactions between the mutant huntingtin protein and metals like copper. That may prevent the protein from linking up with itself, making it less dangerous. PBT2 has shown some effect in Alzheimer’s disease, while preliminary work in HD mouse models has been encouraging. More details of the trial will be announced soon but you can read about it in detail at HDBuzz.net. Finally, EHDN’s Bernhard Landwehrmeyer reviewed the Horizon study of dimebon for thinking difficulties in HD (http://hdbuzz.net/26). Though the drug didn’t work in HD, the trial shouldn’t be considered a failure: it did a good job of addressing the question it set out to answer, and its recruitment and conduct were exemplary - good news for future trials. Many presentations highlighted the large number of treatment approaches that are nearly ready to enter human trials. A theme of the science presented at the Congress was to question our assumptions, constantly. Even for people with the same sized CAG tract, HD symptoms can appear at a range of ages. Jim Gusella studies what factors affect the age at which HD symptoms begin. To his surprise, Gusella has found that the statistical models previously used by researchers may be flawed. After correcting this flaw, Gusella found that many genes reported to modify the age of onset of HD actually don’t - including some from his own group! That might sound like a setback, but studies are underway around the world to find HD-modifying genes. The new robust analysis techniques Gusella’s developed will help us to find true genetic modifiers from these studies - this is science working as it’s supposed to. While HD is clearly a disease that affects the brain, Maria Björkqvist encouraged us to consider its effects outside the brain. She reminded us that many HD patients ultimately die of things like heart disease - perhaps more than would be expected in the absence of HD. 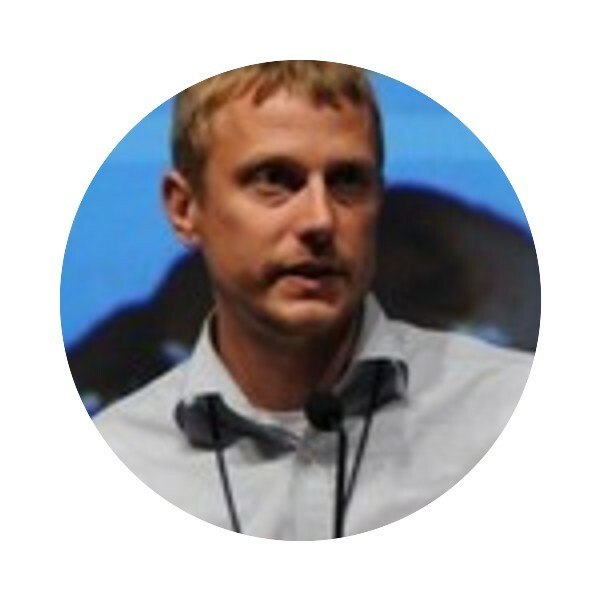 Björkqvist’s own work has shown that HD mice have problems in their digestive tract, which might contribute to symptoms. The importance of thinking outside the brain-box was dramatically highlighted by Paul Muchowski. He’s developed a drug that doesn’t even get into the brain, yet has beneficial effects in Huntington’s disease mice. Muchowski studies links between the immune system - our body’s natural defense against disease - and the brain. The brain is mostly beyond the reach immune system’s reach, because the ‘blood-brain barrier’ carefully restricts what chemicals and cells can enter the brain. Muchowski has developed a drug, JM6, which blocks an enzyme called KMO in white blood cells, indirectly reducing production of a chemical that causes damage in the brain. JM6 extended the lifespan of both HD and Alzheimer’s mice - supporting the idea that treatments working outside the brain can help protect it. Meanwhile, Muchowski has also been looking at ‘CB2’ signalling proteins, which are only found on immune cells outside the brain. When given a CB2-activating drug, HD mice lived dramatically longer than usual. Muchowski’s CB2 research hasn’t yet been published in a peer-reviewed journal, but we look forward to reading about it. HD isn’t limited to one race or country: worldwide studies have shown that no group is spared. This suggests that most HD patients are outside the established world of HD research and lay organizations, largely centered in North America and Western Europe. The World Congress brought together researchers from further afield than ever - all sharing the goal of developing effective treatments for HD. Reaching out to these communities was a theme of the Congress. There’s now a new network of HD researchers, clinicians and families in Latin America. Red Latino-Americana de Huntington (RLAH) aims to bring together the HD community in Latin America to help develop treatments. Observational trials of HD patients are a critical means of research. They studies focus on observing HD mutation carriers and patients over time to understand changes caused by the mutation. This, in turn, helps scientists plan clinical trials, each of which will require hundreds of volunteers if we’re to succeed in developing treatments. Enroll-HD is a new worldwide observational study that aims to unite the huge REGISTRY and COHORT studies taking place, while welcoming newcomers from Latin America, Singapore, South Africa, and South Korea. Enroll-HD will be the biggest study of HD ever attempted and will prepare the way for the next generation of HD clinical trials. Huntington’s disease feeds on silence and stigma. So, honesty and communication are powerful weapons in the fight against HD. HDBuzz launched eight months ago and Ed Wild, editor-in-chief with Jeff Carroll, gave the Congress a rundown of HDBuzz’s success - over 50,000 visitors per month, the support of eleven national and regional HD Associations and translation into nine languages. The Oz Buzz feature translated each day’s science news into plain language, while live interviews with top scientists brought the research closer than ever for family members. Twitter feeds, videos and text summaries can be found online at hdbuzz.net. Matt Ellison announced a major step forward in communications - the forthcoming launch of HDYO, the Huntington’s Disease Youth Organisation. Launching in January 2012, HDYO will provide information and support for young people (kids, teens and young adults), all around the world, who are impacted by Huntington’s disease. HDYO content will be multilingual, too. To receive an email notification when HDYO launches, sign up at hdyo.org. We hope that Oz Buzz has brought you closer to the World Congress. A wealth of research was presented, and we’re already working on several HDBuzz articles to give more detail of stories we’ve so far only touched upon. The effects of a meeting like the World Congress are even more sustained, with new ideas and scientific collaborations giving a great boost to the worldwide effort to find treatments for HD.